BTC has been a leading distributor for major global manufacturers in the Healthcare and Hospitality industries since 1967. 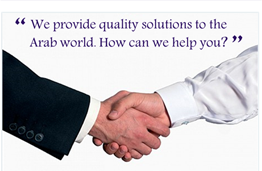 We are headquartered in Riyadh, Saudi Arabia, with offices in Jeddah, Dammam, and Dubai. In the last 45 years, BTC has solidified its presence in the market by establishing strong relationships with key customers in both the private and public sectors. The company has also managed to serve the greater MENA region through a network of sub-dealers across North Africa and the GCC. Over the years, BTC has only worked with key strategic suppliers who have established themselves as leaders in quality, innovation, and cost-efficiency. As of today, we represent manufacturers from over 20 countries worldwide. To learn more about how to become a BTC partner, Please click here.